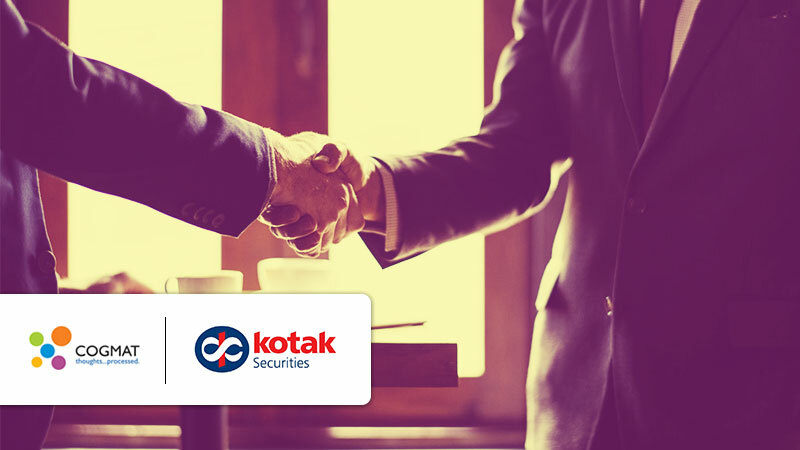 Kotak Securities has tied-up with CogMat Digital to capture their audience’s responses on multiple digital channels. The teams will be working in tandem to track and analyze Kotak Securities’ online presence to synchronize the customer service loop thereby, quickening the customer-query resolution process further. Jaimit Doshi, Executive Vice President – Marketing, Products & Customer Service, Kotak Securities said, “We, at Kotak Securities believe that along with providing advanced online trading services, listening to our audience and redressal of their concerns and queries in a timely fashion, goes a long way in building a positive connect with them, thus, leading to long-term relationships and trust.